Cineworld first selected Can Factory to develop their entire online sales and marketing solution, which helped transform Cineworld into the UK’s leading film entertainment eCommerce sites. The website is not only a flagship for the Cineworld brand, but delivers real-time performance information, and acts as Cineworld’s principal multi-territory Advance Booking sales channel. The first phase of the project took eleven months to complete from initial technical design specification to launch in November 2008. The bespoke Java solution designed and built by Can Factory, integrates with internal legacy and external third party systems and suppliers, including vendors such as: Vista, Stored Value,Solutions, BT Buynet, Immediate Media and Microsoft Dynamics. Apache’s Solr search engine (based on Lucene) is integrated to index film, cinema, performance and site content, as well as driving the site’s free text search, film search and performance search. Can Factory’s application delivers online booking, and the synchronisation of performance data across all of Cineworld’s cinemas in real-time. In addition, the solution includes the provision of a bespoke Content Management and Administration system to allow Cineworld’s internal teams to leverage marketing and commercial opportunities more easily. Can Factory’s technical consultancy team also supported, facilitated and managed multiple IT tenders for Cineworld. This included a six-way ISP tender process, which helped Cineworld to significantly reduce their existing hosting costs, and select a supplier who could meet increasingly demanding online traffic levels. Can Factory collaborated with Cineworld’s IT team, and their ISP (Carrenza) to design a virtualised highly scalable solution (Cisco Unified Computing System) that could support high-volume traffic surges without service interruption. The final supporting application and architecture sustains the high level of scalability demanded by Cineworld’s business objectives, and has been load tested to serve over 500,000 visitors per day. The Can Factory bespoke application / architecture sustains the high level of scalability demanded by Cineworld, and has been consistently load tested to serve in excess of Cineworld’s perpetually growing peak visitors / day projections. During the last seven years, Can Factory has worked with Cineworld to implement multiple site-wide rebrands, and repeatedly built upon the bespoke web application to meet Cineworld’s changing business needs. In 2009, Can Factory designed and built the Cineworld mobile site to allow customers to browse film times or cinema details from the Cineworld chain, whilst also reading film synopses and booking tickets securely. The initial site focused on booking, and integrated seamlessly into Cineworld’s existing website and back-office systems. After proving to help significantly drive sales via mobile devices, the site was further extended in 2014 to further expose all aspects of Cineworld’s website to mobile devices. Since 2011 the Can Factory application has also integrated with a remote Microsoft Dynamics solution to deliver real-time synchronisation with Cineworld’s internal CRM systems. Can Factory’s solution was also flexible enough to support the introduction of a new Cineworld UK website, when Cineworld launched a site for The Screenings Rooms luxury cinema brand in 2012. Designed and built by Can Factory, the site is served from the same centralised platform as the Cineworld UK (£) and Republic of Ireland (€) sites. Working closely with Cineworld’s IT team, and several external suppliers in 2010-11, Can Factory transitioned the web application from Clarity Pacer Cats to Vista, simultaneously integrating with both solutions due to the requirement for a phased back-office migration. Throughout the transition process, the user experience remained consistent for customers, regardless of whether individual cinemas used the legacy Pacer Cats back office, or had already been migrated to the newer Vista back office solution. We continue to build upon our successful working relationship with Cineworld’s other key suppliers, including Vista. The success of Can Factory solutions has allowed Cineworld to take advantage of a number of partnerships. The Cineworld site is seeing greater success than ever before, and is currently ranked the 5th most popular entertainment website in the UK according to Experian Hitwise. As well as providing day-to-day application support services, we continue to work with Cineworld’s Marketing, IT and Online teams to expand upon the existing functionality to ensure that Cineworld’s online applications are a market leader, both now and in the future. In September 2009, we completed and launched Cineworld’s mobile site. Just like the standard site, the mobile platform allow customers to browse film times and cinema details, read film synopses, and book tickets securely. The site is simple, functional and integrates seamlessly into Cineworld’s existing website and back-office systems. In March 2010 we launched an the Cineworld Develop API portal to allow other developers access to Cineworld’s cinema, film and performance information to use in their own prototypes, blogs and mash-ups. Launched in April 2010, Cineworld’s Facebook Application allows users to view film information, book tickets and arrange cinema trips with friends. The most exciting aspect of working with Cineworld is their focus on their customers. When the booking process was redesigned, Wilson Fletcher performed user testing to inform their choices on design elements and style. Our developers were able to attend the user interviews and it was interesting to connect the product that we produce with the people who actually use it. In November 2013 Can Factory introduced online eGift card purchasing, and gift card redemption functionality in collaboration with Stored Value Solutions (SVS). Can Factory also augmented the existing suite of tools available to the Cineworld Customer Service and eCommerce teams to allow them to more effectively manage customer queries for eGift cards, e.g. secure retrieval of lost Gift card numbers. Can Factory built Cineworld’s hugely successful iPhone and Android mobile apps, which are also driven by a single underlying flexible RESTful API. 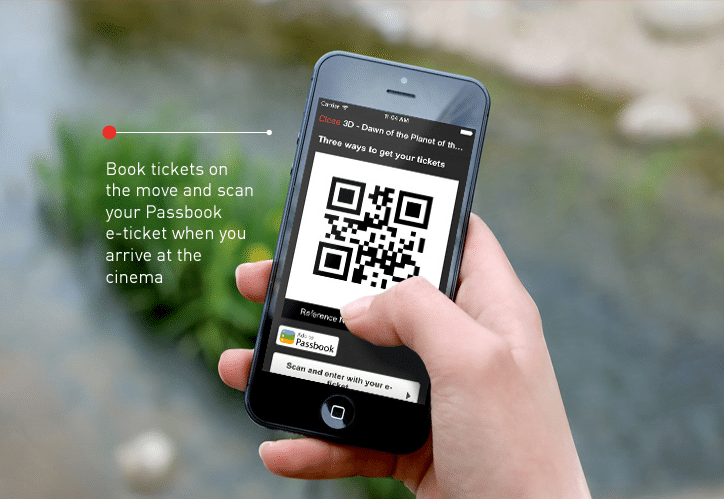 Cineworld became the only UK cinema chain to offer its customers film information from a dedicated iPhone application in July 2010. 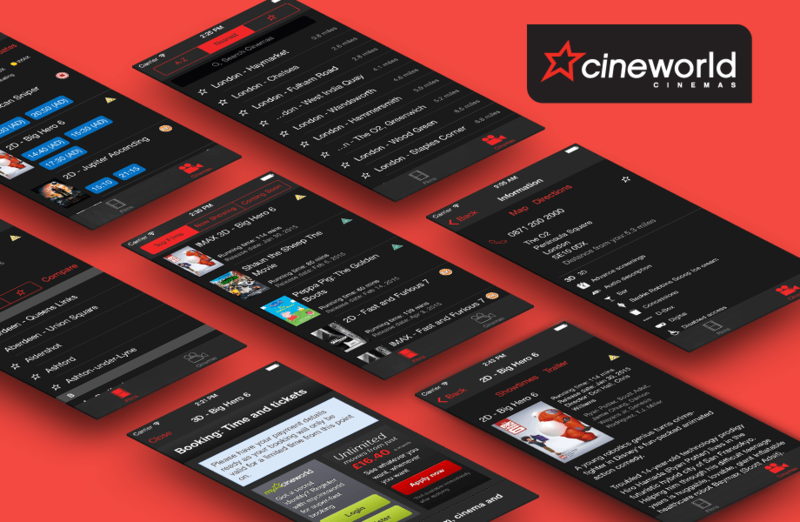 Designed and developed by Can Factory, and described as ‘the complete cinema package for your pocket’, the Cineworld app provides cinema-goers with quick and easy access to film content, alongside the ability to purchase tickets directly for Cineworld’s cinemas in the UK and Ireland. In December 2011 Android market penetration finally justified the investment and Can Factory expanded Cineworld’s mobile device support with the introduction of their popular Android mobile app (1.09m installs since launch) via the Google Play store. Although the Android app provided much of the same customer functionality, a redesigned UI was required to take advantage of the native Android navigation components. Since launch the Cineworld iOS mobile app has consistently remained in the UK iTunes store top 40 free apps and consistently outperformed competitors in the UK. The 1m download milestone was achieved after only 12-months and subsequently the app has been downloaded a total of 2.6m times (March, 2015). With the ongoing provision of support for annual OS updates and an ever expanding list of devices and features, the Cineworld mobile apps continue to grow from strength to strength. In 2011, after successfully trialling the service at their Scottish cinemas, Can Factory implemented Cineworld’s first eTicket solution. This was subsequently augmented with the introduction of Apple Passbook support in July 2013. The introduction of eTickets has proven to be extremely popular with customers, and has helped Cineworld’s Operations team by reducing queues during busy peak periods.